The first SAT® of this school year is this Saturday, October 3rd. Unless you have been living in a cave, you are aware that the pressure is on when applying for college. College entrance tests are an important component of each student’s application. The ACT® and SAT® may be the most important tests a student will take. So don’t go in unprepared! Get a good night sleep – that means go to bed before midnight. Even if somehow the Homecoming Game is a nail biter! PVHS is supposed to do well enough you can cheer them on and get a good night’s sleep. Eat a good solid breakfast – nothing is worse for you or the kids around you to hear your stomach rumbling. Leave your phone in the car or at home. Arrive on time – you will not be admitted if you are late. Don’t let any one question slow you down or you will run out of time. You generally have about a minute per question. The current SAT deducts ¼ point for wrong answers – Only guess if you can narrow down your choices. When you get your scores back, seek out college prep help if you need to score higher. This is determined by the school you are trying to get into. You may not know yet but it’s still a good idea to do some research and get an idea of what different schools are looking for. The best resource for juniors and seniors is naviance.com, which is available through the guidance department of most high schools. This site is so good because it shows your school data and how your scores measure up. For instance, to get into University of Florida, Ponte Vedra High School students have had a GPA of 4.26, a combined SAT of 1315 and an ACT score of 29. A broader look a schools is available at the new college scorecard site. You can search for a particular school and find you the averages of SAT and ACT scores of the accepted students. The site also has interesting data about how many people graduate from the university and what is the average salary after graduation. 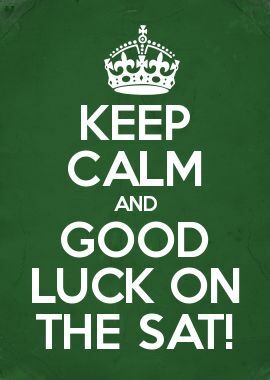 It is encouraged that all 11th graders take the old test a few times prior to the new test. Colleges will allow the class of 2017 to summit either test so taking both versions will allow you a chance to see which one you score highest. Remember, the SAT® will be offering a new test in March of 2016. Want to know the difference in the new test vs the old test? Check out the college board website for more information. The SAT® is not offered every month so it is always a good idea to look at the test schedule for the year and see what test dates will fit in your schedule. For ACT information, including next testing dates check out ACTstudent. Need more help? Want to practice the SAT® or ACT®? 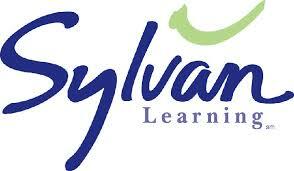 Our local Ponte Vedra Sylvan Learning offers FREE practice tests for both tests. They will also have a practice test for the new SAT® mid-Oct. Call 280-8410 to schedule a practice test or for other tutoring options.